Welcome back to Mom's Library! Mom's Library is a weekly linky party which features activities for kids, parenting tips, crafts, recipes and more. Each week, I feature ideas from the previous week, share a weekly giveaway, and provide an opportunity for all of you to link up your ideas for the week. So, be sure to subscribe so you don't miss a single Mom's library. Last week I was able to host the weekly giveaway, which was a free Reading the Easy Way Curriculum. Check last week's post to see if you were the winner! Even if you didn't win the giveaway, you can still score a great deal on the Reading the Easy Way printable curriculum (This is an affiliate link). It's only $10 for the entire curriculum! I'm using the Reading the Easy Way Curriculum this summer with my son to help him brush up on literacy skills. Another great way to help kids avoid the summer slide in reading is to read a lot of books during the summer. According to the National Summer Learning Association , children lose an average of 2 months of knowledge during the summer vacation. If you multiply that by 6 years of Elementary School, that equates to at least 12 months of learning loss. Before we get too fixated on the numbers, however, it should be noted that the majority of the studies supporting this idea were conducted on low income families or on families who had less access to reading materials. In fact, the research shows that children in middle income families actually make slight GAINS over the summer. What the difference? I think one difference could be access and exposure to books and "life experiences". One study showed that by simply providing books to students who normally wouldn't have access to books, students retained as much knowledge as if they had gone to summer school. 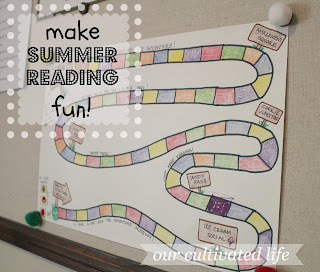 I decided to feature some super cool reading charts and incentives that you can use with your kids to help propel their summer reading efforts. If you are looking for a great book for your kids to read this summer, we have just the giveaway for you! 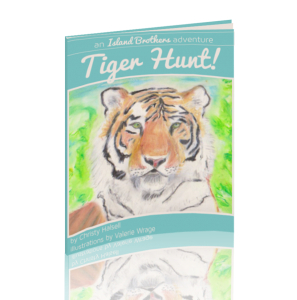 This week, two people will win an ebook of Tiger Hunt, check out a review of Tiger Hunt and then enter to win a copy. Thanks for the feature! I'm your newest follower on Facebook. Thanks Erin! I also pinned your post to the Mom's Library board-- hope lots of people see it because it's super cute. Thanks for sharing.